County Executive Joanie Mahoney and Health Commissioner Dr. Indu Gupta talk about the importance of getting a flu vaccination. 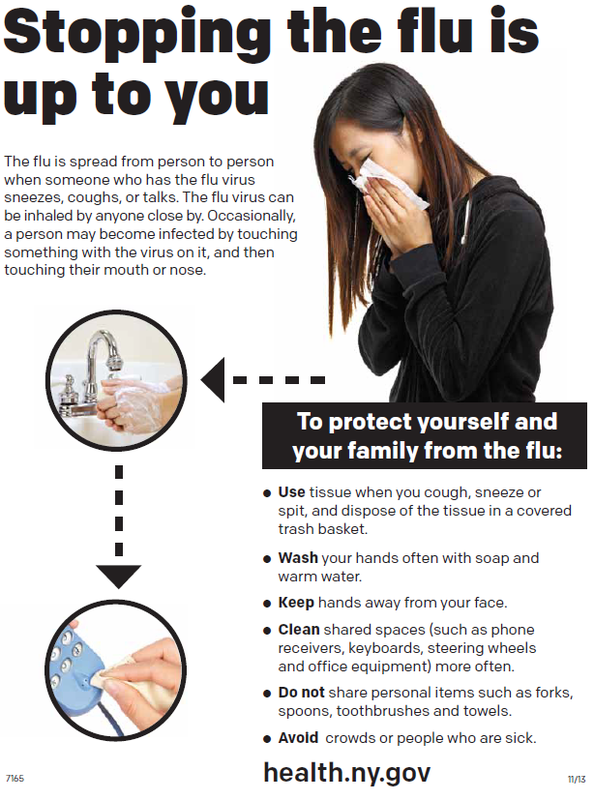 So far, only three cases of the flu have been reported in Onondaga County since mid-October. But many residents have had some form of a cold over the past month or so. 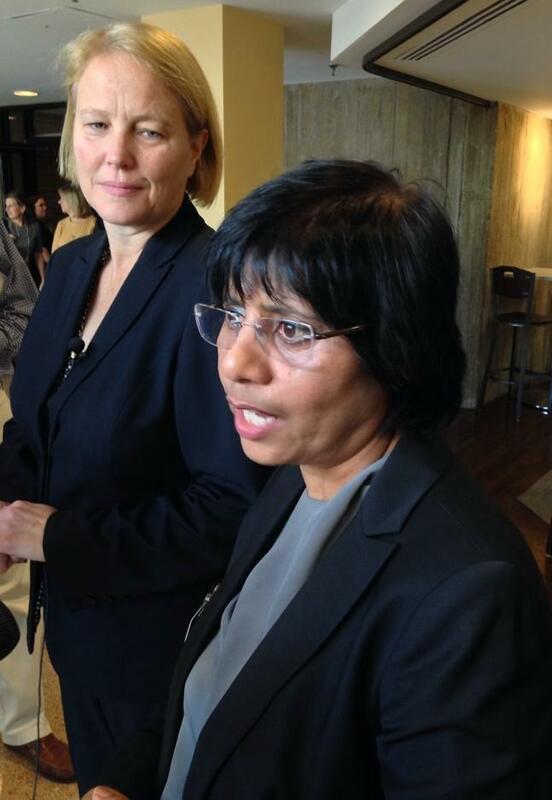 Health commissioner Dr. Indu Gupta says the initial symptoms can be similar to the flu. "Fever, sore throat, body ache, headache...all those kinds of symptoms are common in a lot of viral diseases, it's hard to differentiate," Gupta said. "But we recommend if things are getting worse, call your provider in 24 hours or so and make sure nothing else needs to be done." That might include a flu treatment medicine. Gupta says babies over 6 months old, the elderly, and those with chronic medical conditions are at especially high risk for complications. "The doctors can screen them with a rapid test, and depending clinically how that person looks, decide to administer the medication," Gupta said. "Then you can reduce the duration of illness, especially when you're talking about those with underlying medical issues or extremes in ages, you prevent complications, which is very important. Preventing hospitalization, preventing secondary pneumonia, and also death." The county’s immunization clinic is offering vaccines free to residents while supplies last. It’s held Wednesdays from 9 a.m. to noon in the basement of the civic center. More information is at ongov.net/health or 435-2000. 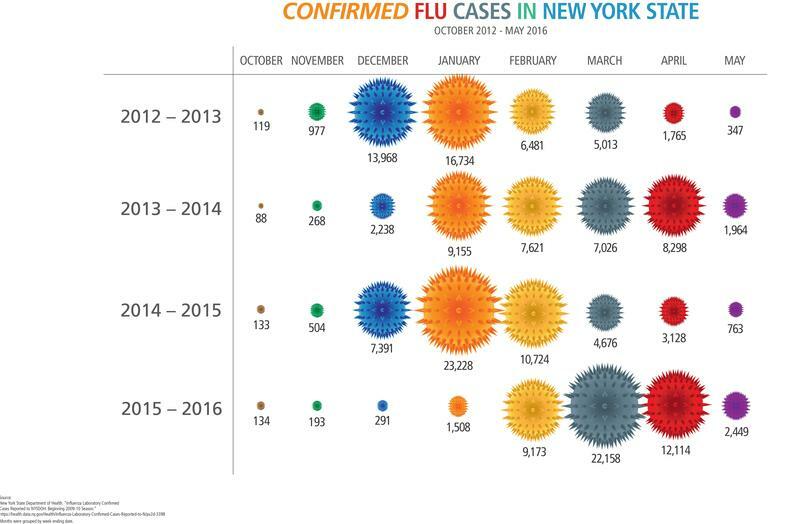 Although the flu season hasn’t arrived yet, Central New Yorkers just never know when it will hit. A recent analysis conducted by Excellus Blue Cross/Blue Shield shows confirmed flu cases across the state have peaked at different times over the past four years. Excellus Vice President and Chief Medical Officer Richard Lockwood says it's better to get the shot whenever you can because it’s difficult to know exactly when flu season will come. Two elderly Onondaga County Residents have died and many others are hospitalized due to an outbreak of the flu. County health officials say state lab tests confirm 88 cases, or twice as many as this time last year. But that number is likely only a fraction of actual illness in the community. The primary virus is Influenza "A" H3N2, which is different than the vaccine and the reason for the spike in illness. Still, Health Commissioner Doctor Indu Gupta says residents should continue to get inoculated, especially the very old and very young. Flu Cases have been on the Rise for Nine Straight weeks in Onondaga County and the County Health Commissioner wonders if we’ll reach the mark this week. Doctor Cynthia Morrow updated the County Legislature’s Health Committee Thursday morning.